Don't miss this TURN KEY, END UNIT townhome! LOADS OF NATURAL LIGHT, SOARING CEILINGS, MTN VIEWS, large BALCONY for relaxing or entertaining, 2-car ATTACHED GARAGE & additional STORAGE! This 2016 home is move-in ready with tons of upgrades: granite & quartz countertops, tile backsplashes, stone wall, electric fireplace, custom window shades & high-end appliances. 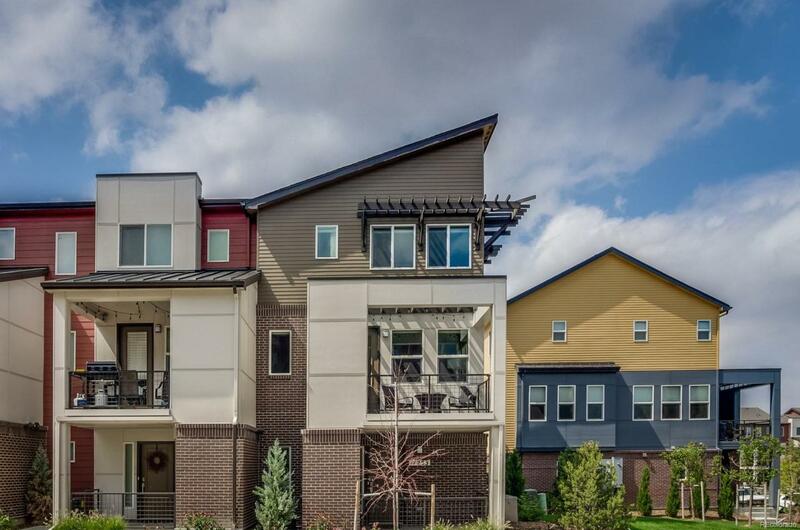 Amazing opp to own in Arista-an urban neighborhood featuring shops, restaurants, parks, 1st Bank Center, RTD & more! Quick access to Boulder & Denver!